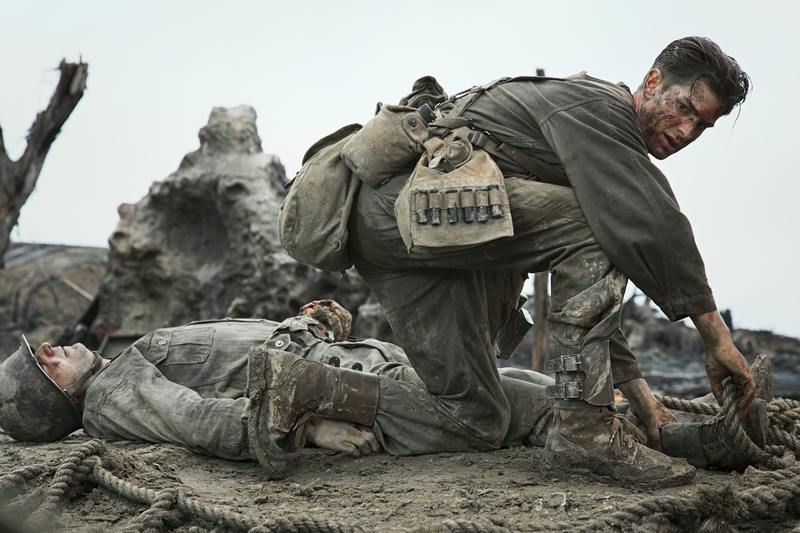 Hacksaw Ridge centers around the true story of WWII American Army medic Desmond T. Doss, (Andrew Garfield) who served in the war as a conscientious objector. He was the first conscientious objector to receive a congressional medal of honor for his courage at the Battle of Okinawa. Desmond is a Seventh Day Adventist who made a promise to God that he would never touch a gun or kill anyone. Desmond still wants to serve his country as an Army medic so he decides to enlist. During the film, you witness what some would call the persecution of Doss because of his religious beliefs and his resilience of how he fights to continue serve. I would like to take a moment and applaud Mel Gibson’s directing on not only this film but for all of his films. He may be at times crazy, but he knows how to direct a great film. From Braveheart to Passion of the Christ which are some of my favorite movies, this film is not only my favorite of 2016 but of all war films. The action in this film was almost unbearable for me to watch. This may be a film with high Christian undertones but they never let up on the blood and gore of war. With a film with so much violence, the inspiration and hope that this film gives is amazing. The story is so strong that you truly connect with Desmond and his courage on the battlefield literally brought tears to my eyes by the end of the movie. Andrew Garfield is breathtaking in this film as Desmond T. Doss and truly gives what I believe to be his best performance of his career. Another stand out in this film was Vince Vaughn, who portrayed Sergeant Howell. He brings comedy to the film as the strict drill Sergeant who is in charge of Desmond in basic training. I was disappointed in Sam Worthington’s character Captain Glover who gave little to the film as Desmond’s Captain in battle. Hugo Weaving is great as Desmond’s father who is not been the same after his service in the war. This is truly an amazing movie and if you like war films it is a must see. I would recommend you PAY to see this film in theaters. Mel Gibson is just an amazing storyteller and this true story will be tugging at your heart the entire film. Hacksaw Ridge hits theaters on November 4th. Purchase your tickets now at Fandango and don’t get sold out. Have you seen Hacksaw Ridge? Share your thoughts about the movie below!